You’ve probably heard of food intolerances to gluten, dairy, eggs, or other foods. But chemical intolerances, or sensitivities, have become increasingly common, as well. A person with a chemical sensitivity has an immune reaction to chemicals and heavy metals in air pollution, pesticides, plastics, adhesives, household cleaners, cosmetics, perfumes, and more. When exposed to these chemicals, the sensitive person may react with a variety of different symptoms, including migraines, fatigue, inflammation, brain fog, memory loss, vertigo, sore throat, respiratory or sinus problems, or a skin rash. 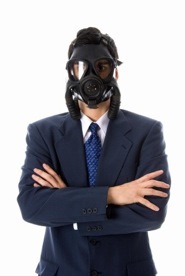 A chemical sensitivity can also trigger or exacerbate an autoimmune disease. Why doesn’t everyone have a chemical sensitivity? Although we now live in a world of thousands of toxic chemicals, some people react to chemicals and some don’t. In fact, lab testing may reveal the person who doesn’t react actually carries a heavier toxic burden than the person who reacts very easily. Why? The immune system reacts to certain chemicals or heavy metals as allergens due to an immune imbalance. An individual has lost the ability to detoxify chemicals from everyday exposure. An individual’s natural antioxidant status is deficient, increasingly one’s vulnerability to toxicity from chemicals. A breakdown of immune barriers—gut, lungs, skin, and blood-brain barrier—increases the body’s vulnerability to toxins. In other words, it’s not necessarily small exposures to toxic chemicals or heavy metals that make one sick (even though they are not good for us), but instead the body’s inability to handle environmental toxins. A common method of treating a chemical sensitivity or other chronic condition is chelation. Chelation is a detoxification therapy that removes heavy metals from the body. However, for the person whose immune system is reacting to chemicals and heavy metals, chelation can actually make things worse. By using chelation to liberate chemicals and heavy metals from tissue and into the bloodstream, the chemically sensitive person may react with even more symptoms and more tissue damage. Chelation should only be considered if the immune barriers are in tact (i.e., no leaky gut, or leaky blood-brain barrier, which would allow chelated toxins into the brain), the immune system is balanced, and detoxification functions are working normally. Beyond that, we have more advanced clinical strategies to help alleviate a chemical sensitivity. These include supporting the activity of glutathione, the body’s most powerful antioxidant, repairing the immune barriers—gut, lung, and blood-brain—with nutritional support, balancing the immune system, and restoring the body’s natural ability to detoxify. Why do I have brain fog all the time?